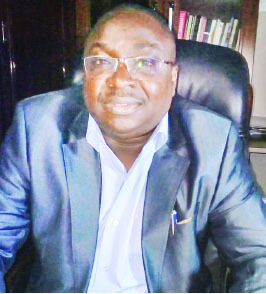 The Executive Director of Kunike International School, Osogbo, Osun State, Mr. Adekunle Amos, says that only a solid foundation from primary and secondary schools will prepare pupils and students for a future capable of guaranteeing national development. Adekunle, who is the proprietor of the group of schools, stated this in a chat with The Education Report while reminiscing on the vision that propelled him to establish the school some years ago. He added that the fundamental purpose of education was to raise human capital that could proffer solutions to Nigeria’s multifarious problems as well as challenges and take the country to the next level. His words: “That is the philosophy behind establishing Kunike International School and that is the record we are trying to set and we are already getting it right. Proliferation of schools aimed at providing opportunities to the Nigerian children to get education is good, but that is not enough’’. According to him, what is paramount is the content of the curriculum and that education is capable of solving Nigerian problems, stressing that any nation’s education that does not focus on research aimed at solving problems cannot be said to be proper education. “That is why we lay emphasis on quality and global standard at Kunike International School to build new generations of students who are able to compete with their counterparts in any part of the globe. It is against this backdrop that we embarked on international students programme when Delta District School in Canada signed a memorandum of understanding (MOU) with us in 2016 to synergise on quality education for a global academic standard,” he added. Adekunle added that the MOU was a part of the agreements with Kunike to send its junior students to Canada to study in the school for a short term, while those in senior classes for full time and graduate from the school. “What we are doing is a mix of British/Canadian and Nigerian curriculum aimed at global standard to raise a generation of well educated youths for future development. “In other words, we are training global students that can compete with their counterparts in any part of the globe. By June 2019, the junior classes will be in Canada for eight weeks where they will have their high school experience in Canada,” he stated. The proprietor said that while trying to provide quality education to galvanise human capital development, Kunike School would also focus on technology and entrepreneurial education. “We have well equipped ICT centres. We are raising highly technology-based students for the future task of industrializing the country. “We are already giving them the orientation and privilege of solving problems through involvement in community projects such as environmental sanitation, filling of potholes on roads among others. “It is our dream that in 20 years to come, a Nigerian from Kunike International School should break a record by building an international airport in this country. Adekunle said that education is not just about churning out students but about the quality of education that is capable of raising educated people that can champion development. “The sound education that can guarantee this begin in primary and secondary schools. That is the foundation we are laying at Kunike International School and every school should aim at. “Entrepreneurship centres for barbing/hair salons, photography, videoing, music are entrepreneurial engagements we introduced to teach our children about employment generation and self sustainability. If they finish from here, they would be able to do something to earn a living. The educationist lamented that some universities were only churning out graduates that were job seekers who cannot create jobs nor proffer solutions to any problem or add value to the economy through their courses of study. “Education should not be about graduating with degree and looking for jobs that can not be gotten on a platter of gold. He disclosed that at Kunike, we employ professional teachers and not just anybody looking for a job. Some education planners and managers are square pegs in round holes. All these account for the falling standard of education.